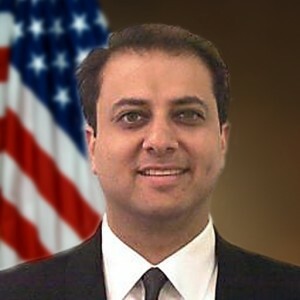 Washington, Nov 14 (IANS) Manhattan’s Indian American US Attorney Preet Bharara has brought down yet another insider trader with a former Indian internet analyst Sandeep Aggarwal pleading guilty. Aggarwal, who admitted to providing inside information about a pending deal between Microsoft and Yahoo to a portfolio manager at SAC Capital, would be the 76th person convicted in Bharara’s four-year insider trading crackdown. Other prominent convictions obtained by Bharara, dubbed “Sheriff of Wall Street” by Time magazine, include those of India-born former Goldman Sachs director Rajat Gupta and his Sri Lankan hedge fund billionaire friend Raj Rajaratnam. The manager, Richard Lee, pleaded guilty to insider trading in July and SAC this week agreed to plead guilty to criminal charges and pay a record $1.2 billion penalty. Aggarwal, 40, a former analyst for San Francisco-based Caris & Co, who has residences in San Jose, California, and in Gurgaon, in India’s Haryana province, was accused of leveraging his tech industry contacts for the alleged misconduct in 2009. Aggarwal is also founder and former CEO of ShopClues.com described as India’s first and largest managed marketplace. Last month, co-founder Sanjay Sethi took over from Aggarwal as ShopClues CEO. Aggarwal might face 25 years in prison when he’s sentenced and may also be deported to India, although he has apparently agreed to cooperate with prosecutors in the hope of receiving a lenient sentence. FBI agents arrested Aggarwal last July and charged him with one count of conspiracy to commit securities fraud and one count of conspiracy to commit wire fraud. A day later, Aggarwal was, however, released on a $500,000 bond. Harvard-educated Bharara, 45, has vowed to keep up his crusade, saying he has the “greatest job in the world” though he will “walk the earth and get into adventures” whenever he retires. “I am going to do this job as long as I can. I think I have the greatest job not just in the country but in the world. It has been four years and it has been a lot of fun and I am going to do this as long as I can,” he said at the New York Times’ Dealbook Conference in New York last week. But when he does retire or gets “kicked out” of his job, he would want to travel the world and meet people. “I’m going to walk the earth,” said Punjab-born Bharara, quoting a dialogue from the movie “Pulp Fiction”. “Like Caine in ‘Kung Fu’. Go from place to place, meet people, get in adventures. That is what I will do,” he said.